Since 1832, the poster has been one of the basic ways for the authorities in Serbia to announce their proclamations, orders, and even laws – in the form of direct communication with the people. 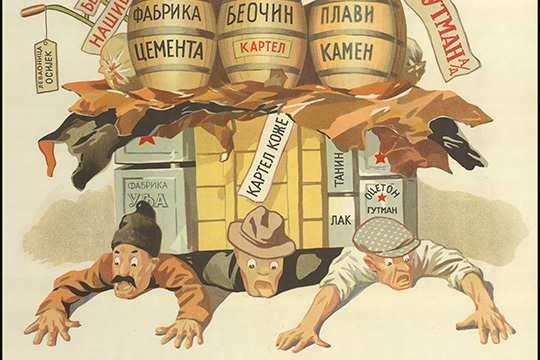 Although it was a one-way communication at the beginning, aimed at informing the people, since the 1880s, when party pluralism was introduced into Serbia, posters attracted an increased interest among a great variety of other public elements in Serbia. Gradually, it became apparent that this sphere of public communication should be regulated by law; hence the poster was referred to as a form of press in the Press Law of 1881, as well as in the legal provisions of 1891 and 1903. The Collection of Posters of the Historical Museum of Serbia includes copies that date from the time when this type of announcement was introduced to Serbia, and constitutes a significant part of the Museum fund, revealing a high degree of awareness, both by the rulers and the state, of the necessity of political propaganda and of mass communication between them and the people. The collection follows the development of posters from visually and typographically simple proclamations and declarations, to more attractive and aggressive solutions to the need for dissemination of the state-political agenda. The collection ranges from proclamations, advertisements, leaflets, agendas, pamphlets, obituaries, invitations to artistic and cultural programmes, to propagandistic and promotional materials. The oldest poster is the Proclamation of Alexander Karadjordjević, issued on 8 July 1848; the others worthy of mention are the Proclamation of Austrian Emperor and Hungarian King Ferdinand (7 November 1848), the Proclamation of Francis Joseph I (15 December 1848), the Proclamation of Prince Alexander Karadjordjević (16 October 1857), the Proclamation of the Temporary Regency (13 December 1858), as well as proclamations of Prince Michael Obrenović, Prince Milan Obrenović, King Alexander Karadjordjević, et al. 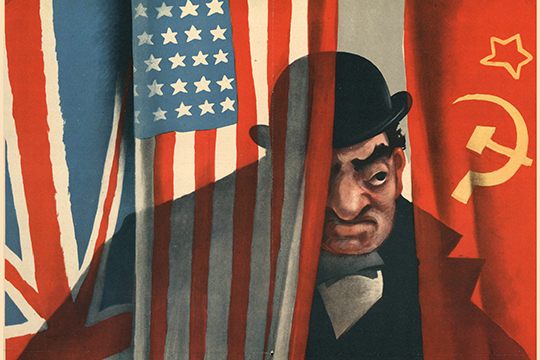 A significant segment of the collection consists of posters from the period of World War One, as well as of posters issued by the occupiers, the quisling government and „the Propaganda Section Southeast” during the period of World War Two. Much of the collection is made up of political posters and leaflets from the period after the autumn of 1990, when the multiparty system was introduced into Serbia, as well as posters relating to cultural life in Serbia (concerts, theatrical performances, scientific lectures and discussions).